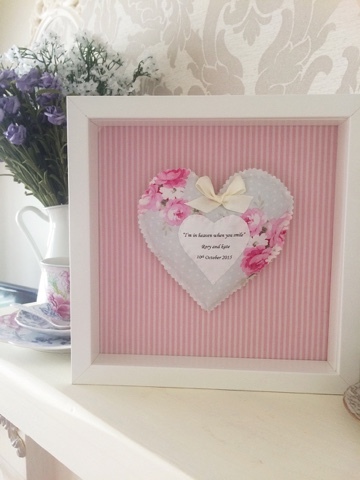 I just want to share these personalised frames that I have started to make. I love making these and each one has their own special message. 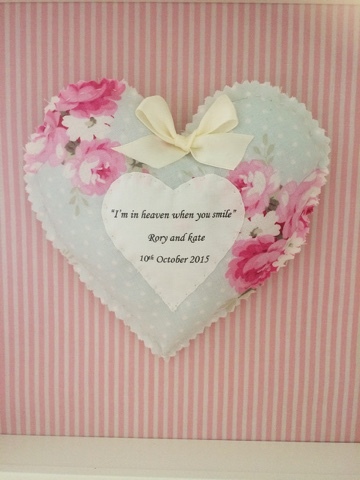 For blue one below I put in the lyric of the first dance song and the names and dates for the wedding. 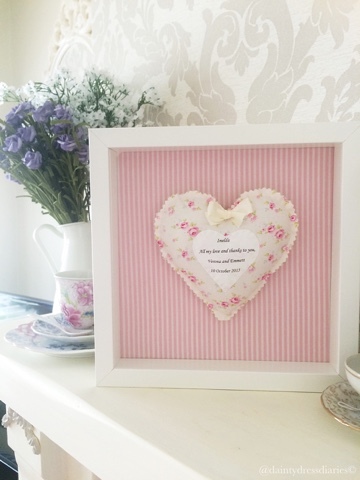 The cream one was a thank you frame for the mother of the bride. 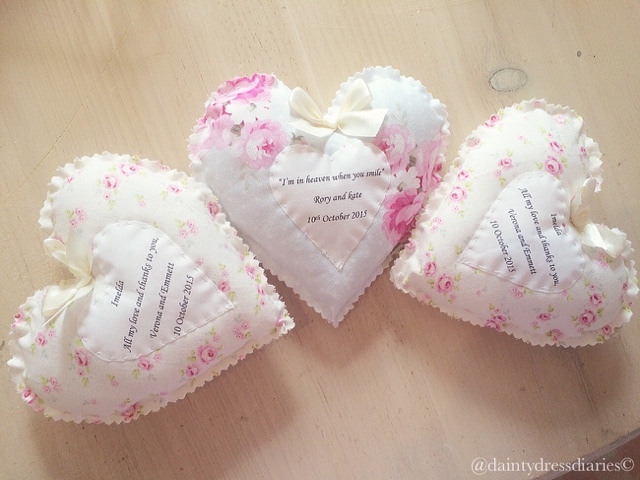 Each of the hearts are hand stitched and I use fabric for the backing. You can order by clicking the mail icon on the top left hand side. 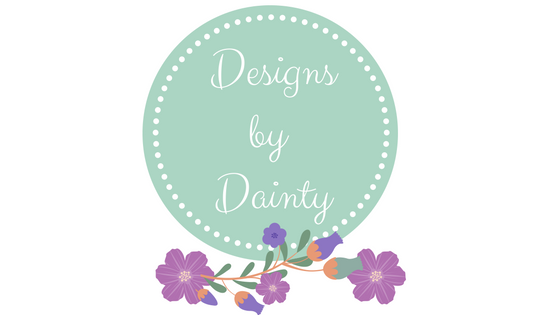 You can also mail me through the contact section on the blog also and I can accept paypal but please note that payment is required up front for personalised items. 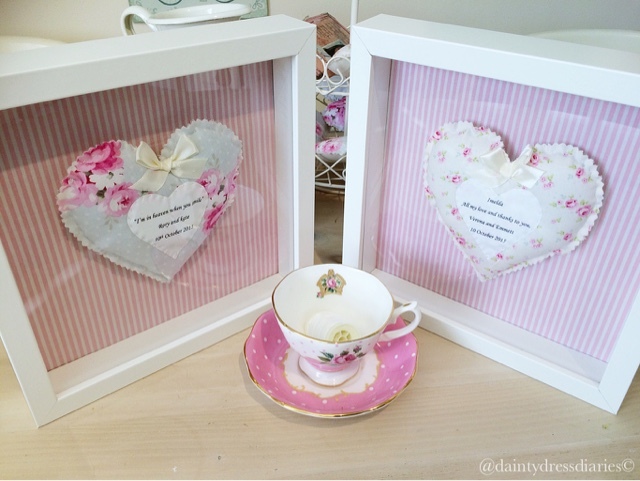 Prices for the wedding frames are 25 euro/20 pound and postage costs are extra. Have a flick below for more pics. Fell free to message me anytime with any questions. Very good photo frame you have shared here, It is looking so beautiful and designed with attractive color, It is best for decoration of home. 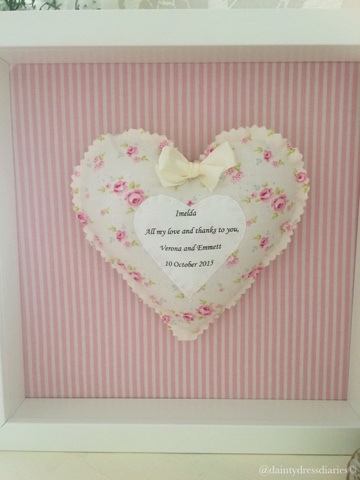 Buy online unique and Personalised gift frames at best price to visit on Giftsvillage.